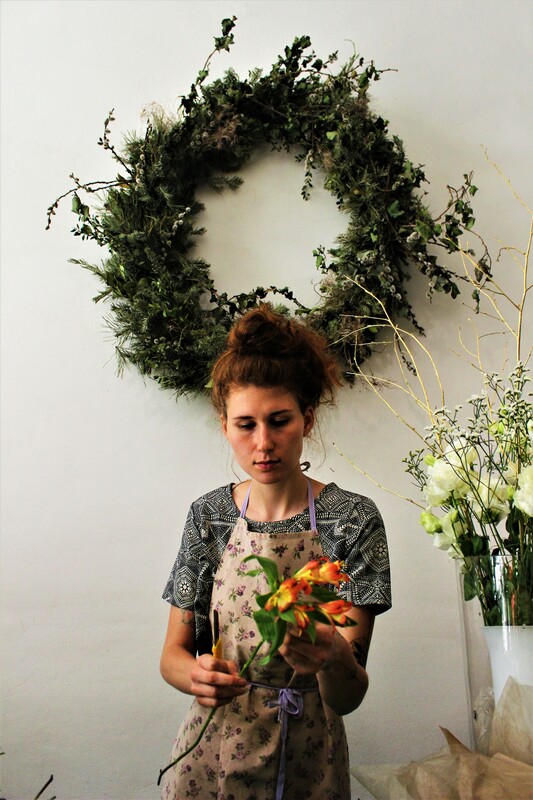 Daniella is a student studying photography in Prague but also enjoys her job as a florist as she finds it peaceful and creative. 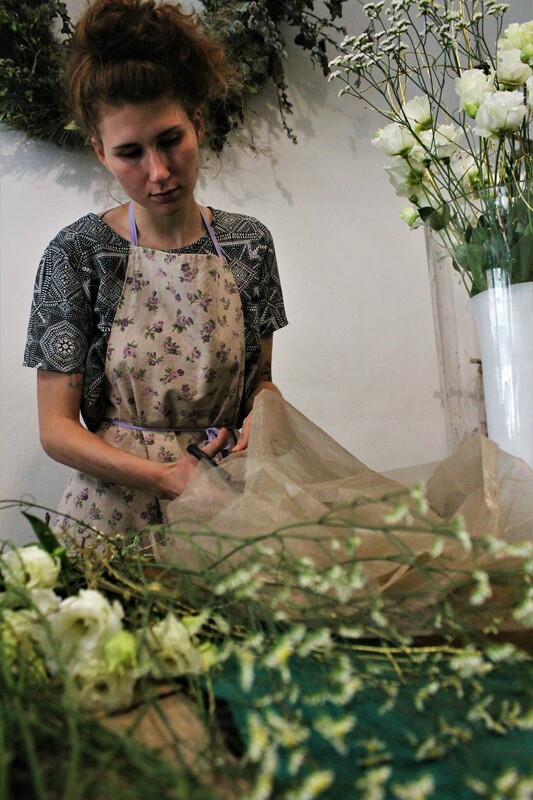 Luckily, I walked into the store at the perfect time and got to see the preparation that goes into organizing a decorative bouquet for an event. Interestingly, the net she was using contrasted the fancier and more classical materials more commonly used for decorative bouquets. But that is the point of the store- to be alternative. Daniella explained that on a normal day, approximately two to three customers walk into the store. 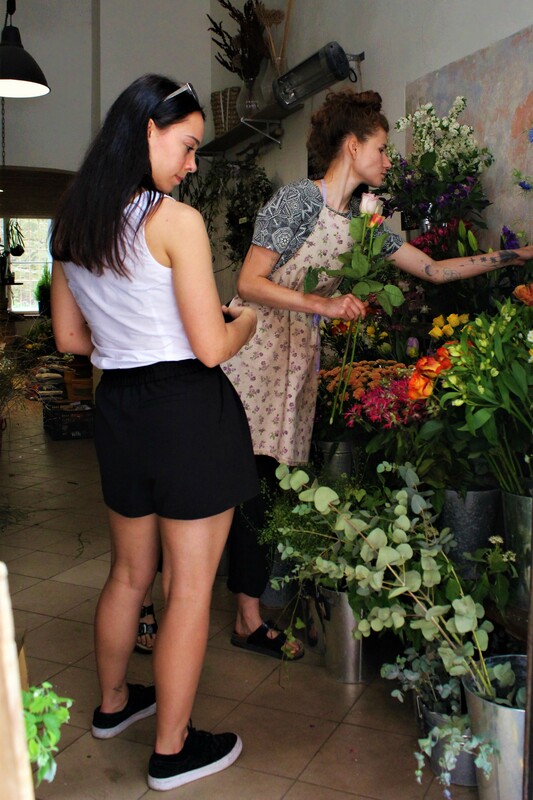 The store focuses on selling local Czech flowers such as tulips.The abundance of such flowers that decorate the exterior of the store creates a very elegant, comforting and vintage appeal that makes it very inviting to by-passers. What was ideal was the cool and scented air that filled the room in contrast to the sweltering heat of the day. I nearly asked if they were looking to hire. 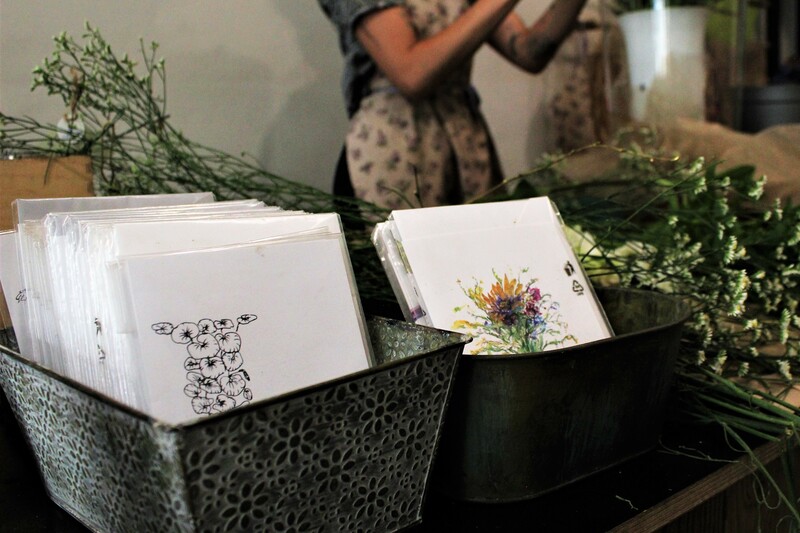 The post cards sold at the store range from simplistic designs to more colorful and intricate ones. The cards must be matched to the purpose of the flowers/bouquet being bought and to the complexity and the mood evoked by certain combinations of flowers in the bouquet. 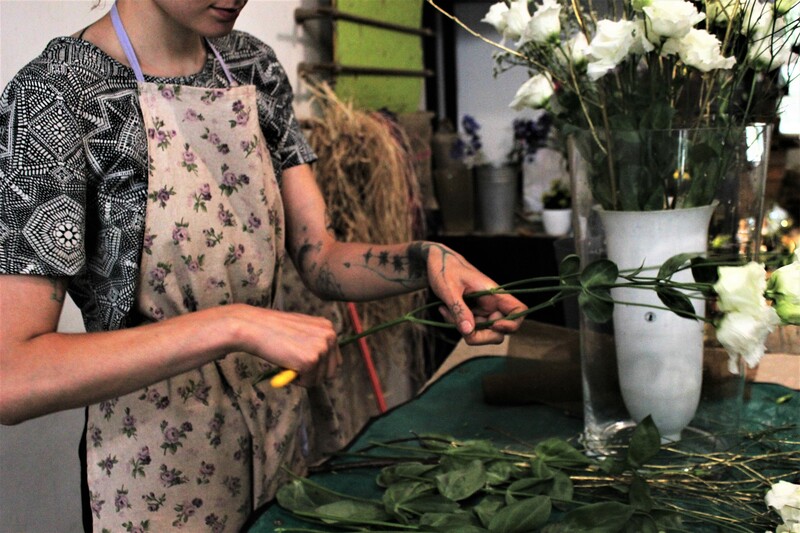 Creating a bouquet for an event can take up to an hour. She was trained by the two owners of the store. Daniella went on to talk about the flower store. 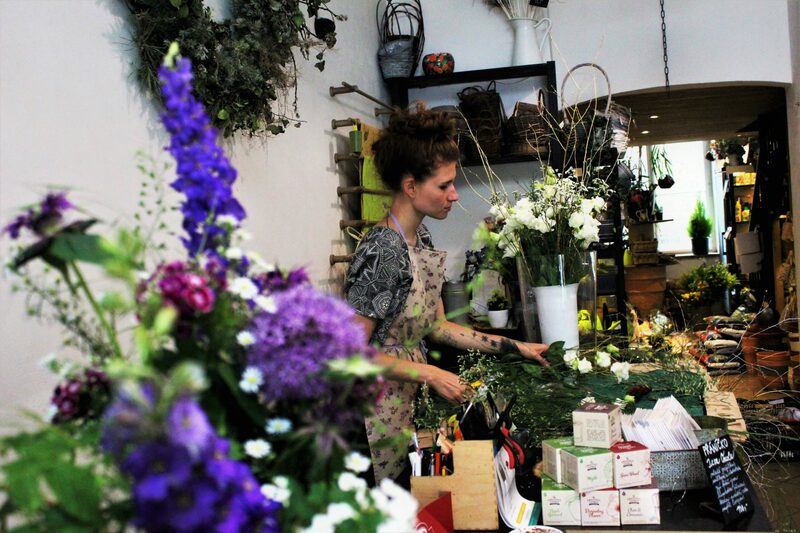 She pointed out that the theme of the store is alternative and the work she does is focused on creating various combinations of flowers, not just the typical classical bouquet. While removing the bottom leaves and trimming the stem, Daniella began telling me about her passion for photography and how she doesn’t have a specific focus for her photography. Rather, it depends on the ideas and inspirations that she gets that make her want to pick up the camera and click away.